Stunning Beacon Hill home on 16, 000' greenbelt cul-de-sac lot like no other home currently on the market. Custom touches include hardwood, plank vinyl and tile flooring, modern kitchen with Quartz counters, GE Profile Stainless appliances and Alder cabinetry. Relax in the spacious family room with the elegant brick hearth gas log fireplace. The formal living room has hardwood flooring and built-in cabinetry with a wine frig and sink. You'll love the master br with beautiful hardwood flooring, a double sided stone/tile gas fireplace and updated bath area with Granite counters, new lights and fixtures and the oversized shower with rain shower head. 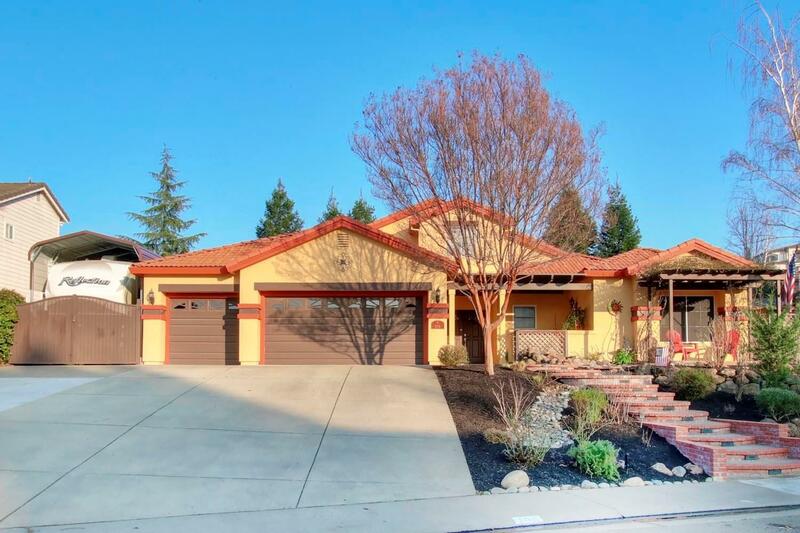 The Club Med rear yard has a sparkling pebble tech finish pool/spa with waterfall, expansive Alumawood patio cover, fire pit, redwood/cedar covered patio with stamped concrete decking, gas BBQ and 1 BR 1 bath guest quarters perfect for in-laws or a home office. 36' deep cemented RV pad with cover. You won't find another home like this.